American Caribbean Cigars has long been known for producing cigars of outstanding quality for brands like Gurkha, Torano, and Leccia Tobacco. 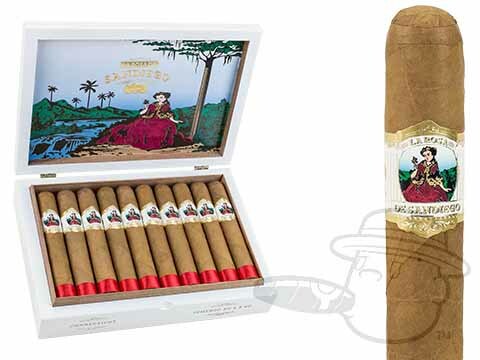 With the introduction of La Rosa De Sandiego, they now have a premium cigar blend of their own, and it’s nothing to shake a stick at. 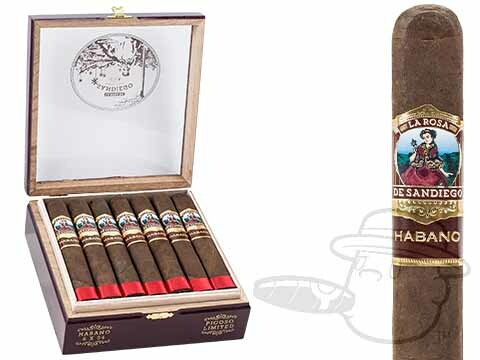 Handmade in Nicaragua, La Rosa De Sandiego Habano cigars present a memorable medium-bodied smoke that presents earthy, complex, and intense flavor. A hearty Habano wrapper sits atop a special blend of filler tobaccos from Esteli, Jalapa, and the Dominican Republic, resulting in a bold and balanced profile to satisfy any lover of rich, nuanced, and spicy cigars. With the massive 8x80 size you can expect an ultra-cool-burning, full bodied smoke with unique and layered flavor. And - if you plan on attempting to smoke the entire cigar, make sure you clear your calendar for a good 3-4 hours as well.